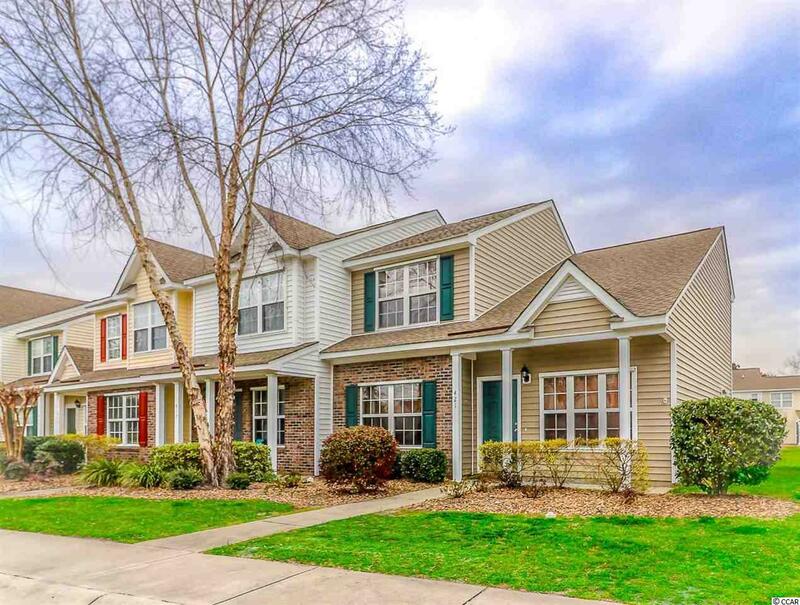 421 Swanson Dr. #91, Myrtle Beach, SC 29579 (MLS #1905539) :: James W. Smith Real Estate Co.
Be sure to check out this updated, end unit, move in ready townhouse in the Carolina Forest area of Myrtle Beach, SC and only 10 minutes to the beach. This home features 3 bedroom and 2.5 bathroom situated on a premium pond lot in the well landscaped Sawgrass East community. 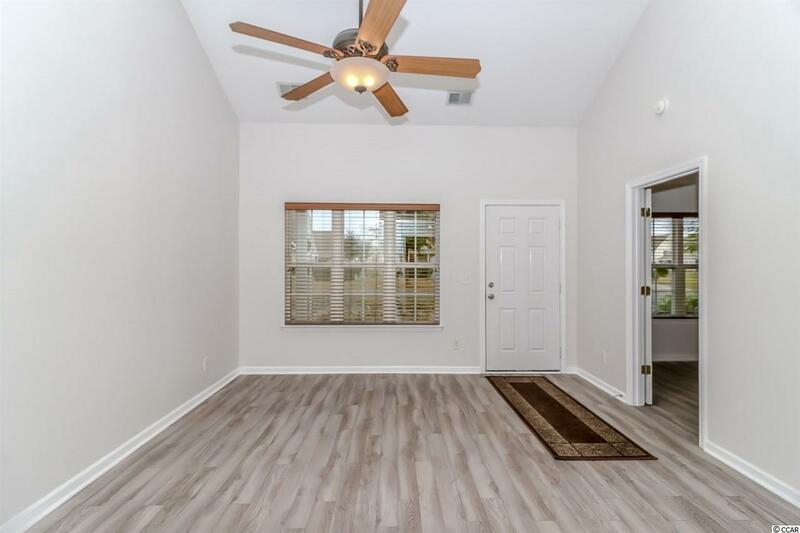 This home was recently remodeled with brand new luxury vinyl flooring, custom granite countertops, carpeting, screened in porch, and air conditioning / heating unit. The best part is the entire home was just freshly painted and smells brand NEW. 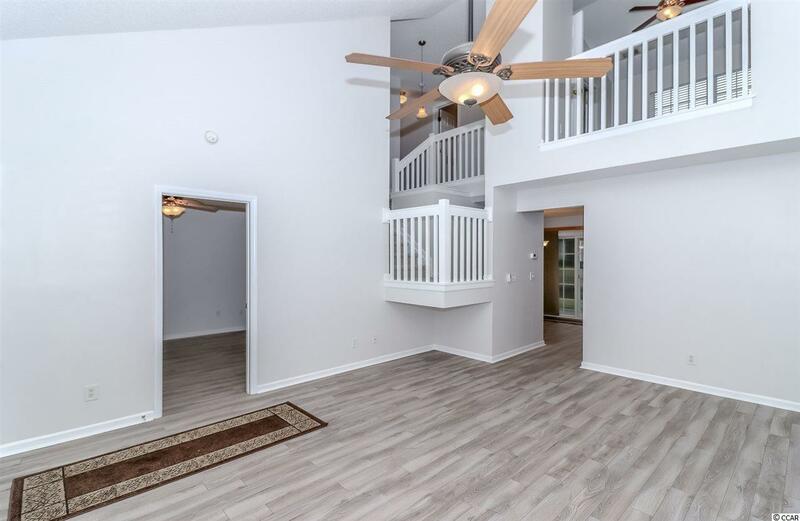 Upon entering the home you will notice the captivating tall vaulted ceilings and the bright, open living room. The kitchen features impeccable granite countertops and white appliances with an island and pantry. The dining area attached to the kitchen and leads out to a screened in porch overlooking the neighborhood pond. Directly off the patio is the utility closet perfect for storage. The beautiful master bedroom located conveniently on the first floor with an attached bathroom and plenty of closet space. Upstairs is spotless, boasting the additional two bedrooms and bathroom with a large walk in closet and hallway linen closet. The third bedroom is a gorgeous loft style and would be perfect for an office or den. You couldnt ask for a more luxurious, well designed townhouse with all the upgrades and recently updated. Parking is NO issue at this home there are two assigned parking spots right outside the front door and plenty of guest spots next to those. The Sawgrass East community is quiet and quaint featuring a pool, clubhouse and many walking / biking paths for owners to enjoy. These homes are true townhouses making them qualify for loans similar to single- family homes, without the condominium restrictions. 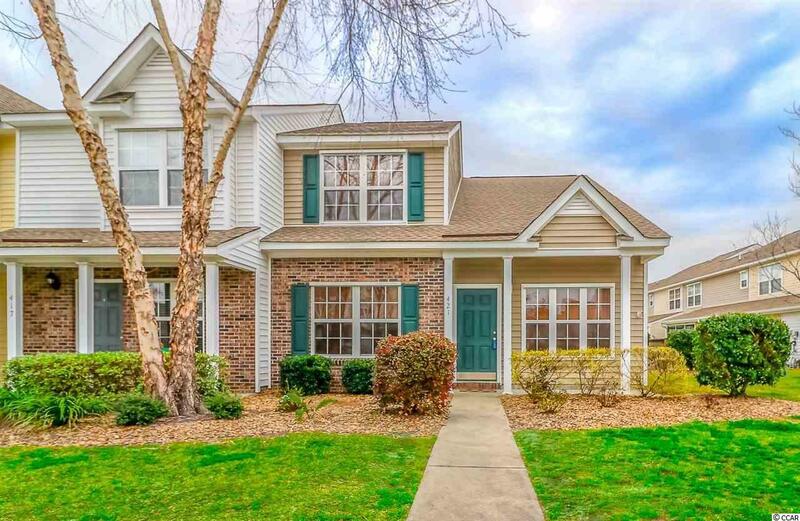 Conveniently located outside of Myrtle Beach city limits and just minutes from local schools, shopping, restaurants, and all the best features of Carolina Forest.